The slayers of TERA are a two-handed sword wielding class. They are capable of high close range damage and are able to close gaps fairly easily for a melee class. This class wears light armor and attacks in an arc type motion with many chained skills. It is another one of the many classes that uses evasion mechanics to take less damage when possible. So how can you go wrong picking this class? While slayers do good damage and are definitely not the slowest class in the game, they have a weakness when it comes to survivability. Their armor type is only light so they cannot take as much damage as the berserker or lancer, but at the same time, can use their dodges to avoid that damage. So you should play a slayer if you like doing good damage and having an active playstyle that requires you to dodge and evade to get the most out of your class. When deciding to play the slayer, you must have the mentality of a destroyer. If you like doing massive amounts of damage in short periods of time and like chaining your skills, then this is an amazing class. 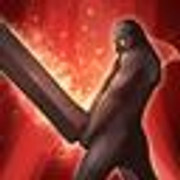 Likewise, if you like doing high damage as mentioned but do not appreciate the absence of a block or being able to take so little damage, then I would suggest a berserker (a class with high damage, but is able to block instead of evade in terms of core play style). Blocking makes playing a berserker a whole different experience than a slayer, as well as the different skill layout they receive. If you’d rather block than dodge, then by all means! But if you still do not mind the faster paced and more chaotic play style of a slayer, and want to hear more about the slayer, you should take a look at the rest of this guide! Stats Click picture to be able to see properly. Here’s just a brief chart of class stats. This will help you understand the strength and weaknesses of classes to a lesser extent. You can tell the role and play style of the class slightly by look at that chart. Slayers are a class that utilize high damage with the ability to be mobile to do their damage. Let’s start with the charms. Always try to have these charms. It’s a free 15 minutes improvement to your character. Especially if you get the 15 minutes of MP regen charm! Hope for a MP regeneration charm. If you get one of those, you can have a fun time without having to worry that much about mana. A really useful charm when it actually does happen! 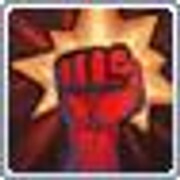 Defense and resistance charm (nothing too important here). Damage increasing charm (always try to have one on, some are more useful than others, but still good no matter which one you get. It’s simple. You can choose one of the two images from the picture. You can get hit for 999,999 damage… Or you can dodge like Superman would and get out of the way. Obviously an exaggeration, but i feel it gets the point across. Crystal symbols are not accurate. I used whatever image for them. I will update the images to match the crystals soon. I will also be giving more information on which crystals are useful for what situations. Red crystals are weapons, Blue crystals are armor. [Brilliant] – Provides MP regen per 5 seconds. Useful crystal to ease the pain of having the generate MP. Helps you enter combat with full mana, allowing you to cast any spell due to having sufficient mana. [Brutal] – Inflicts more damage on a knocked-down opponent. Great for adding that extra damage when a target gets knocked down. Useful because of your high knock-down rate. [Champion of Punishment] – Immediately regenerates MP when attacked by a player. You should be trying to avoid being hit by using dodges because of your light armor, not trying to get hit for mana! 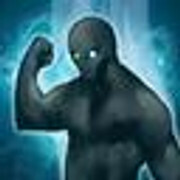 [Champion of Violent Assault] – Immediately regenerate MP when attack a player. Good for offensive PvP play. The mana you get from attacking a player is like putting extra fuel in a fire; you’ll run out eventually, but the fire will continue to burn bright and strong. [Cruel] – Increases your attack power against knocked-down opponents. Synergizes well with your high knock-down rate. [Cunning] – Increases maximum MP. Allows you to cast more spells, sure. But also takes a crystal slot that could be used for making those spells stronger. [Empyrean] – 100% chance of providing ‘Shield’ when attacked by enraged monsters. Not a personal favorite. This just means one less crystal for a more versatile crystal that could be used in PvP as well. Try dodging instead of being hit :}! 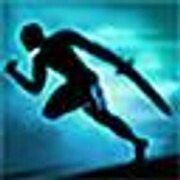 [Fleetfoot] – Increases movement speed while out of combat. Use your mount. You’ll be fast enough. [Focused] – Attacks do an additional times of critical damage against enraged monsters. Useless in pvp. Useful when fighting enraged monsters. [Forceful] – Critical attacks will increase your strength when attacking opponents from the rear. If you’re using other rear crystals, then you might as well beef up your rear attacks just a tad bit more. 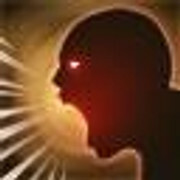 [Furious] – Chance to inflict an additional amount of damage to enemies when below 50% hp. This crystal is a love hate relationship. Helps you take stuff down pretty well, but also helps stuff take you down pretty well. Also gives healers a hard time. I personally like MP per 5 crystals better. More consistency. If you’re trying to get knocked-down a lot when you fight, by all means, get this. But I feel MP/5 is more consistent. instead. [Poised] – Decrease damage by a percentage when attacked by enraged monsters. Completely pve based crystal. Not my cup of tea, but if you’re a pve type of person, and fight enraged mobs often, have at it. [Protective] – Resist critical hits more when below 50% hp. Synergizes well with a 50% or below crystal, but also not a health level I’m comfortable with. I would rather opt. in for a Resolute crystal for the decreased damage all around instead of just on criticals. [Redeeming] – Chance of providing HP Regen when knocked-down. Same as Infused crystal, except with mana. Once again, trying not to get knocked down and using more consistent crystals is my opinion. [Relentless] – Increases maximum HP. More life means more hits you can take. [Resolute] – Decreases damage taken when below 50% hp. This is a really good crystal in my opinion. I like taking reduced damage, especially when below 50% where it could make all the difference between a blow that finishes you off or one that just injures you more. [Savage] – Critical attacks do an additional times damage when attacking from the rear. Situational. If you crit, AND are attack from behind, then there you go, a good crystal. If you cannot get behind the target, then it’s actually useless. 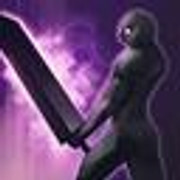 [Slaying] – Critical hits do an additional times damage when below 50% HP. Combined with other critical multipliers, could be helpful. [Swift] – Increases movement speed while in combat. Yes! Get it! Movement speed in combat is always good for melee. You definitely need it! [Vigorous] – Provides HP regeneration per 5 seconds. Toss up between more HP, reduced damage when below 50%, or hp regen. They’re all good crystals, just situational. I like this crystal for solo encounters. [Virulent] – Criticals will also inflict Poison effect against knocked-down enemies. I like the availability of a DoT from a crystal. 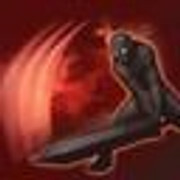 Allows you to do damage if you already applied this DoT and are trying to hit them as they’re kiting. [Warding] – Chance of providing Shield when knocked down. 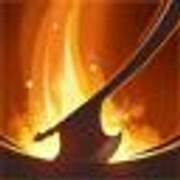 If you use this, you better hope you get knocked-down and it procs. Then you can use retaliate and be beefer after you get knocked down, and get up again, they’re never gonna keep you down (See what I did there?). Note: Glyphs of blaze do not stack to boost the speed of the same skill. Likewise, two glyphs of powerlink to buff the same skill do not stack! Power ratings based off highest skill level available. Mana Cost : Gives Mana!!! Strikes one or more targets in front of you, and gain MP with each hit. Successive strikes do more damage. This skill is your level 1 skill. It’s just your auto-attack. This is used to generate mana in the case that you are low and cannot cast any spells that actually do better damage. 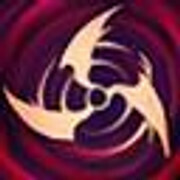 Glyph of the Swift – Level 20 – 5 points – 10% chance to increase attack speed 15% for 10 seconds. Glyph of Power – Level 20 – 6 points – Increase power by 25%. A basic evasive maneuver. Using this skill jumps the slayer forward to avoid an attack at the cost of mana. This skill is your level 1 dodge. Use this to avoid attacks that would otherwise hit you and deal damage. Because you are in light armor instead of heavy, this is somewhat important at times. Glyph of Fleetfoot – Level 20 – 4 points – 30% chance to increase movement speed by 15% for 10 seconds. 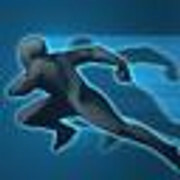 Glyph of Persistence – Level 20 – 4 points – 20% chance to eliminate cooldown. Glyph of Powerlink – Level 20 – 4 points – Increases power for the next chain skill by 25%: Fury Strike. Whirlwind (2) The sheer name of this spell sounds like badassery. 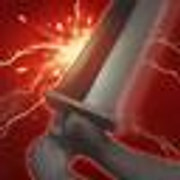 Whirlwind is a swooping AoE attack in which the slayer swirls their greatsword around in a fairly quick 360 degree flurry. In order for it to be executed properly, the slayer must spend 1.5 seconds “casting” the attack uninterrupted. This skill is an AoE swing that will attack all nearby units close to you. Use this if you are trying to attack multiple targets from all directions. Also a great spell to have your Overhand Strike on a shorter cast. Glyph of Brilliance – Level 20 – 4 points – Decreases MP consumption by 63. Trip Attack is a high damage frontal attack with an 8 second cooldown. Similar to Whirlwind, this attack must be “casted” for 1.6 seconds and has a very high chance to cause a knockback. This ability is used to have a fairly good chance at knocking down a target. This will disable the target (unless retaliate is used), allowing you to use smash on targets for the amplified damage. When used in combos can be really effective. Glyph of Power – Level 20 – 6 points – Increases power by 25%. Glyph of Powerlink – Level 20 – 5 points – Increases power for the next chain skill by 25%: Whirlwind. Glyph of Powerlink – Level 20 – 6 points – Increases power for the next chain skill by 20%: Overhand Strike. Glyph of Pounding – Level 20 – 5 points – Increases chance to knockdown and immobilize by 20%. Charge forward, increasing the speed of your next attack within 10 seconds by 30%. Effect ends after 10 seconds or when you hit a target. This skill is a really good skill for closing gaps between you and enemies. You get it early on in the game, and it also lets you use some slower spells a little faster because of the 30% increased attack speed. A great spell overall. Glyph of Energy – Level 20 – 5 points – Decreases cooldown by 25%. Mana Cost : Gives 100 Mana!!! Instantly restore 100MP. Your MP doesn’t decay for 20 seconds. A Great ability to give yourself mana to ease the rate of necessary auto attacks and to keep you from being mana starved. Glyph of Spirit – Level 20 – 3 points – Increases MP regeneration by 50%. Glyph of Energy – Level 20 – 3 points – Decreases cooldown by 30%. Glyph of Grounding – Level 20 – 3 points – 100% chance to increase endurance by 10% for 20 seconds. Allows the Slayer to recover from knockbacks and counter attack the enemy. Use this as a means of getting up from a knockdown state as to avoid amplified damage and successive attacks. This also allows you to do damage to the enemies in an AoE. Glyph of Power – Level 25 – 3 points – Increases power by 25%. Glyph of Powerlink – Level 24 – 5 points – Increases power for the next chain skill by 25%: Leaping Strike. Glyph of Energy – Level 20 – 4 points – Decreases cooldown by 20%. Overhand Strike is powerful, but slow to activate. You can utilize it fully by using it after these skills eg Whirlwind, Knockdown Strike, Leaping Strike, Stunning Strike, or the fourth blow of your basic attack. Does good damage. The speed increase when used as a chain spell is really great. Highly recommended to use in chains. Glyph of Persistence – Level 20 – 6 points – 50% chance to eliminate cooldown. Glyph of Restoration – Level 20 – 5 points – Restores 3% HP. Batter and briefly stun your target with a kick, then leap backward. A spell to make distance between you and your target as well as stun them. Being a melee class, this spell alone will not help you much in terms of doing damage, but it can help you set up other spells to be used and help you in terms of survivability. Overall, a nice skill to have. Glyph of Brilliance – Level 20 – 4 points – Decreases MP consumption by 30. Glyph of Lingering – Level 20 – 4 points – Increases effect duration by 30%. Glyph of Blaze – Level 20 – 4 points – Speeds casting by 25% for Knockdown Strike, the next skill in the chain. Glyph of Blaze – Level 38 – 4 points – Speeds casting by 25% for Heart Thrust, the next skill in the chain. Mana Cost : Gives 240 Mana!!! Call on your inner reserves to instantly recover some mana. Being a mana regeneration spell, this will help you cast that last spell you are slightly manastarved for. It will also help ease the pain of generating mana by giving you a nice chunk every time it’s off cooldown. Glyph of Balance – Level 20 – 4 points – Increases balance 50% for 15 seconds. Aim at a target within 15m with a magic extansion of your sword. Repeat the attack up to 3 hits. Damage decrease at maximum range. A ranged attack on a melee class. Very useful to get damage on something you cannot or do not want to get near. Great spell to use against kiters. Glyph of Brilliance – Level 22 – 4 points – Decreases MP consumption by 18. Glyph of Numbing – Level 22 – 6 points – 20% chance to decrease opponent’s attack speed by 30% for 5 seconds. Pounce on your foe and smash downward. If the target had been knocked down, you do massive bonus damage. A strong ability to use on anything that is knocked down. It will apply the 5x damage multiplier when the target that is being hit with this is knocked down. Glyph of Brilliance – Level 24 – 4 points – Decreases MP consumption by 50. Batter your foes with the flat of your sword, briefly stunning them. A spell to enable you to have an upper hand for a short term of the battle. You can reposition yourself for another spell or just keep doing damage to them while they are briefly stunned. Also helpful for getting away, but not as helpful as Startling Kick because of the distance the kick gives you. Glyph of Power – Level 26 – 4 points – Increases power by 25%. Lash out with your sword; the lower your health, the greater the damage. Self-explanatory. More useful when lower health because of the higher damage done. Glyph of Power – Level 30 – 6 points – Increases power by 25%. 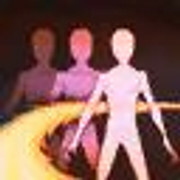 Glyph of Blaze – Level 30 – 4 points – Speeds casting by 25% for Whirldwind, the next skill in the chain. Glyph of Restoration – Level 30 – 4 points – Restores 4% of total HP for the next chain skill: Stunnign Backhand. Power Rating : +75% speed. Temporarily increase your movement speed. Extremely useful spell. 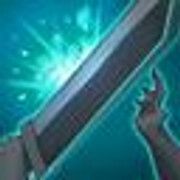 This allows you to catch up to enemies that are running away to either melee them or to just use Distant Blade on them. If you are low on health, this could also be used to help you gain distance for a long enough time to get away. Glyph of Energy – Level 32 – 4 points – Decreases cooldown by 25%. Step forward, attacking your target’s vulnerable spots. A cool looking animation. A brief lunge towards the enemy to do a stab type motion. Glyph of Power – Level 38 – 6 points – Increases power by 25%. Glyph of Persistence – Level 38 – 4 points – 35% chance to eliminiate cooldown. 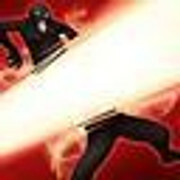 Strike a blow that increase target’s cooldown time for all skills by 50% for 15 seconds. Effective only on other players. A great spell in pvp. 50% increase in cooldown times for 15 seconds is a big deal in pvp. 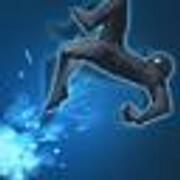 This ability can easily make the difference between an enemy player being able to dodge your next ability or being forced to take on the full frontal assault. Glyph of Power – Level 44 – 4 points – Increases power by 25%. 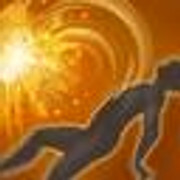 Glyph of Energy – Level 44 – 6 points – Decreases cooldown by 25%. Power Rating : 30% bonus damage on next attack. Gather your might for a decisive blow. Your next attack within 20 seconds does 30% extra damage. Use before a strong hitting ability. The 30% damage is most effective on a stronger attack to get more amplifying as opposed to a weaker attack that might attack faster. Glyph of Brilliance – Level 50 – 3 points – Decreases MP consumption by 33. Sprint in and make a lethal, immobilizing thrust to your target’s back. Who doesn’t like a teleport backstab ability? Really nice ability. Sadly, it’s acquired at a very late level. Glyph of Energy – Level 56 – 5 points – Decreases cooldown by 20%. Glyph of Blaze – Level 56 – 4 points – Speeds casting by 25% for Heart Thrust, the next skill in the chain. Glyph of Blaze – Level 56 – 4 points – Speeds casting by 25% for Knockdown Strike, the next skill in the chain. Power Rating : +26 Strength, +15% pvp damage. Increase your attack power by 26. And PvP damage by 15% for 30seconds. Very useful spell to increase your overall damage. Especially useful in PvP due to the 15%. 30 second duration is alright on a 180 second cooldown, but definitely not something you can use often (1/6th upkeep time). Glyph of Brilliance – Level 58 – 3 points – Decreases MP consumption by 50. Glyph of Blaze – Level 58 – 2 points – Speeds casting by 25% for Heart Thrust, the next skill in the chain. 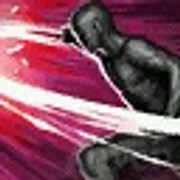 An attack that targets the enemy’s throat, this skill will execute faster if it is used right after Overhand Strike. Another spell to combo in your strong spell chains. Should always be used after Overhand Strike, just like Overhand Strike should always be used when it has a reduced casting time. Glyph of Carving – Level 60 – 6 points – Doubles critical hit rate. My glyphs. You might agree, or you might not. This is just what I would run with with no master glyphs. Some have weird reasons, but they work for me. What works for me, might not work for you, or it might work better for you. Who knows. (8)– Headlong Rush – Glyph of Energy – I like to glyph this to take the cooldown down to 9 seconds. This will allow you to be more mobile when fighting teleporters and will help you get away if you need to. I use this a lot to run away when im out numbered one to four! 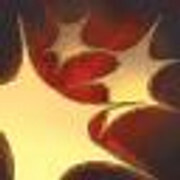 (4)– Startling Kick – Glyph of Blaze (Knockdown Strike) – Now the one I describe this glyph might be a little weird an unorthodox, but hear me out. 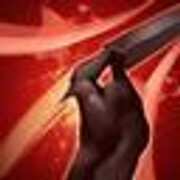 Startling kick is a good stun, but it can also be used for initiation. If it is glyphed with this spell, you can cast it for the 25% faster Knockdown Strike. 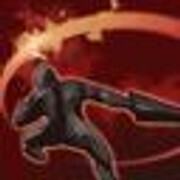 Even if they are too far away, if you use this just for that glyph buff, followed up by a Headlong Rush, you are now left with a Knockdown strike with a 30% faster attack from Headlong Rush, and a 25% faster cast on Knockdown Strike from Startling Kick’s Glyph of Blaze. This makes for one hell of a fast Knockdown Strike. Give it a try. If it’s not your cup of tea, then don’t use it like this. But I personally love it. It helps you cast it fast enough so some people don’t have time to react in time, notably teleporters. (6)– Knockdown Strike – Glyph of Powerlink [Overhand Strike] – 20% increased power on Overhand Strike if casted after Knockdown Strike. Definitely a glyph you would like. It will make a power attack a bit more powerful. This along with the fact that Knockdown Strike sets up a faster Overhand Strike cast makes it a really great glyph to get. (5)– Backstab – Glyph of Energy – Reduces cooldown by 20% on a 20 second cooldown. This allows this spell to be used a lot more often, which helps with you with mobility. (4)– Backstab – Glyph of Acceleration – Increases casting speed of Knockdown strike by 25% after using backstab. This has a similar effect to what I was doing with Startling Kick >> Headlong Rush >> Knockdown Strike. It allows you to get close to the target and execute a quick attempt at knocking them down to follow up with Overhand Strikes and Leaping Strikes. This will allow you to make the most out of your mobility and high knockdown spells. (2) In Cold Blood – Glyph of Acceleration [Heart Thrust] – Need somewhere to put your last 2 points? Put them here. Not the most useful since it is a 3 minute cooldown… But where else can you put 2 points? If you manage to scrape up the 1 or 2 more points from using master glyphs, then you can use the points in a more useful glyph!! [2 glyph points left over if not using In Cold Blood glyph. More glyphs if using reduced point cost master glyphs. Now this glyph guide is without master glyphs. Slayers get a lot more powerful if you throw master glyphs into the mix. I will be updating the glyph guide with master glyphs in the future. For now though, this is just my take on glyphs. Glyphs for Exhausting Blow – Even with a 35% cooldown deduction, 58 seconds is still a long cooldown in my book. Slayers have an aggressive playstyle due to their high damage. You want to be able to knockdown the opponent and burst out massive amounts of damage as quickly as possible. They do well in 1v1 situations because of their relatively mobile and big arc spells. In group fights they do well as well, especially when set up by a support class to land all or most their heavy hitting spells. Heals helps them in group battles as well because when they get hit, you do take a decent amount of damage since they are light armored class. Versus Mystics, their kiting abilities are definitely their high point, and should not be taken lightly. When they constantly run and dot and summon dps pets, you are at your lowest point in terms of what you can do. You have to get that knockdown in order to beat this class, and hope their retaliate isn’t going to let them get up and out of there before you can do some mean hits. And even if you do the mean hits, you better be praying their teleport doesn’t triple or even quad cast, allowing them to heal like crazy and get their mana back. Hard class to fight against in a 1v1 situation. Versus Sorcerers, we all know they are squishy classes. But we also all know they are able to put out some really good damage. This class requires you to be quick and to the point with your damage. You CANNOT make a fight long with a sorcerer. While they cannot heal, neither can you. Their ability to do their damage with ranged attacks, lock-ons, and aoes make them difficult to deal with at times. And like mystics, their teleport can sometimes be a pain, but it will not allow them to heal when they teleport far enough way because they cannot summon orbs or a healing fairy. So basically, this match up is a dps race and requires you to get those good hard hitting knockdowns before they can melt you away with their good dps, cc, and good mobility. Versus Warriors, you have a pretty good advantage. You can do damage faster, but you also lack the higher mobility that a warrior has. The only disadvantage I could see you having here is that the warrior will probably piss you off if he’s dodging everything. Versus Priests, they have a similar problem towards the mystics, but not as intense. Priests, just like mystics, can do damage, but not a lot. Their strength comes in when they heal the damage you have dealt to them, and you cannot heal the damage they’ve dealt to you. While not nearly as bad to fight against as a mystic, no one likes healers against them! Versus Lancers, you will get annoyed by blocks, most people do. Their high armor values also make your hits do quite a bit less damage. Their ability to heal themselves makes this even more annoying. Their low damage is your advantage though, but it’s definitely not a big one. If you expect to beat this guy, you need to be hitting him where his shield doesn’t help him, and you need to be getting knockdowns. Just remember, every 45 seconds his glyphed Second Wind will heal him a pretty good amount, so the longer the fight goes on, the less of a chance you have between his heals and his ability to block your incoming damage. A difficult fight, like with the mystic, but with a beefier target that relies on mitigation rather than evasion. Versus Archers, you will have to be able to get close to do your damage. This can be difficult at times due to their backstep and breakaway bolt. They do take a good amount of damage when they are hit. It’s a matter of landing your strikes without them being able to kite you and then hit you with a charged Radiant Arrow that matters. These arrows will hit you hard since you’re lightly armored. Use as many spells are you need to dodge these. I tend to use Headlong Rush to dodge arrows a lot as it helps you mess up their aiming. And lucky for us, aiming on an archer is like an FPS, you have to be pretty accurate to hit with those charged up spells. So this match up is just a dps race; whoever lands more shots faster wins. Also watch out for their slows, this might be a little more annoying than it has to be! Versus Berserkers, your work isn’t as cut out for you as with a lancer. It’s kind of like fighting another slayer, just one that relies on blocks instead of dodges, has less mobility, and can heal if he lands a decent Vampiric Blow. Definitely one of the easier classes to beat because of their slow tendencies. Versus Slayers, just think mirror match up. Anything you can do, he can do to. The disadvantage? Your lack of survivability. Their disadvantage? The exact same. Take hits, and you will be feeling those hits. Now I don’t know about you, but I would much rather have the 2nd of the two being done rather than the first (slight exaggeration for demonstrative purposes)! I am working on getting a new PC, and then I will be able to record in good quality without lag. I will upload those videos when I get the new PC. It’ll be KTera recordings. Still working on getting them formatted.